Garden workshops at the CNC & Farm are designed to provide helpful information to home gardeners or landscapers at any level of proficiency. Our expert speakers include Texas Master Gardeners, horticulture business owners, scientists, and authors. Formal presentations are held in the CNC auditorium and hands-on presentations are offered at the Herff Farm. A visit to the Farmers Market at the Cibolo on Saturday from March to December will yield free scheduled presentations or a friendly anytime talk with one of our knowledgeable Inspiration Garden Volunteers who work to keep the demonstration garden blooming. Most workshops in this category focus on vegetable gardening using natural methods and landscaping with native plants for beauty, ease of care, and wildlife attraction. Check out our calendar of events for the most up-to-date listing of workshops we offer. Our vegetable gardening workshops encourage all-natural homegrown food production. Various workshops will cover everything you need to know to get into vegetable gardening as well as some newer techniques and technologies for maximizing your harvest. All-natural vegetable gardening can provide a sustainable food source for an entire family and community gardens can supply a neighborhood. Growing vegetables using all-natural methods helps to create a healthier environment. Large agricultural operations sometimes use pesticides and herbicides, and transporting from distant locations creates air and even water pollution. Take your health and that of the local ecosystem into your own hands, and start vegetable gardening today! We also encourage anyone who is interested in hands-on learning to join our team of gardeners in the Inspiration Garden at the Herff Farm. You can learn more about opportunities to volunteer in the Inspiration Garden on the Volunteer Section of our website. 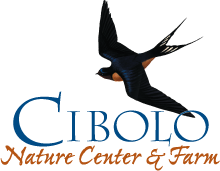 The Cibolo Nature Center & Farm offers numerous workshops that encourage the use of native plants in landscaping. Native plants are drought tolerant, ornamental, and provide food and shelter to wildlife. A garden rich with native plants will also provide for the needs of wildlife and will attract a wealth of colorful birds and butterflies. The hill country is a central flyway for many migrating bird species and monarch butterflies as they journey between their summer and winter habitats. Providing habitat for both migrating and resident wildlife is crucial to their survival and well-being. A garden rich with native plants will not only provide for the needs of wildlife, but it will attract a wealth of colorful wildlife to enjoy. NOTICE: When registering online for any of our workshops, please be advised there is a 10% charge for processing a refund due to cancellation.